The list of upcoming TODAY Show performers is not restricted to those of the country variety. NBC confirms several other performers for upcoming editions of the morning show. 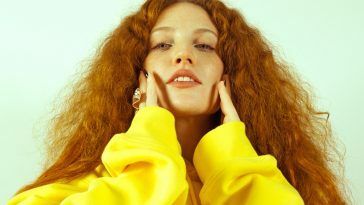 The Wednesday, June 3 episode will feature musical guest Jess Glynne. As of press time, she is scheduled to perform with Clean Bandit in the 9-10AM block and then in a solo capacity during the 10-11AM portion. Katy Tiz, whose “Whistle (While You Work It)” is currently charting inside the Top 40 at hot adult contemporary radio, is also a confirmed TODAY Show guest. She will perform on the Wednesday, June 10 edition. 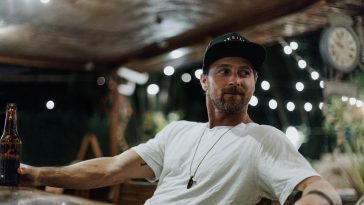 In addition to previously confirmed country performers Billy Currington (6/2) and Chris Janson (6/4), other upcoming musical guests include Charli XCX (6/5, as part of the Summer Concert Series), The Tenors (6/8) and Fall Out Boy (6/12, as part of the Summer Concert Series). (7-9 a.m.) Tracy Morgan on Today. Beth Holloway on Today. Kit Harington on Testament of Youth. #startTODAY with Jean Chatzky. Today’s Food Kickoff to Summer with Billy Dec. American Ninja Warrior contestants live on the plaza. (9-10 a.m.) If I Weren’t in Broadcasting: Willie Geist. Finding a job and budget after college graduation. Grilling with Billy Dec.
(10-11 a.m.) Beth Holloway on Today. Redbook’s Beauty Awards. Favorite Things. (7-9 a.m.) Bryce Dallas Howard on Jurassic World. Michael J. Fox on Today. #startTODAY with Joy Bauer. Today Parenting Team. Dr. Ruth Westheimer on her book, The Doctor Is In. Today’s Food Kickoff to Summer with Carson Daly and Siri Pinter. (9-10 a.m.) Michael J. Fox on Today. Mark Feuerstein on Royal Pains. If I Weren’t in Broadcasting: Natalie Morales. Tamron’s Tuesday Trends. (10-11 a.m.) Bryce Dallas Howard on Jurassic World. Cooking with Ryan Scott. Dr. Ruth Westheimer on Today. Billy Currington performs live on Today. (7-9 a.m.) Joan Lunden on Today. Nick Robinson on Jurassic World. The Property Brothers on Today. #startTODAY with Jenna Wolfe. Today’s Food Kickoff to Summer with Brandi Milloy. (9-10 a.m.) Ty Simpkins and Nick Robinson on Jurassic World. I Weren’t in Broadcasting: Tamron Hall. Pop Fix. Clean Bandit and Jess Glynne perform live on Today. (10-11 a.m.) Rob Buckley on iZombie. Suzy Welch on her book, The Real-Life MBA. Jess Glynne performs live on Today. Lilliana’s Luxe for Less. (7-9 a.m.) #startTODAY with Jill Martin. Stuff We Love. TBD. (9-10 a.m.) If I Weren’t in Broadcasting: Al Roker. Hot New Summer Toys & Games. Hits & Clicks. Must Mark Your Calendars. (10-11 a.m.) Charles Shaughnessy on Ever After. Ambush Makeover. Joy Bauer on Today. Chris Janson performs live on Today. (9-10 a.m.) Marlon Wayans on I Can Do That. Charli XCX on Today. Pop Fix. In the Kitchen with Al Roker. (10-11 a.m.) Abby Elliott and Jill Kargman on Odd Mom Out. Jon Taffer on Today. Kathie Lee and Hoda Give it Away. (7-9 a.m.) Chris Pratt on Jurassic World. #startTODAY. Time-saving hacks. 5 Ingredient Recipes. (9-10 a.m.) Taye Diggs on Today. Jay Farrow and Jake Lacy on Balls Out. What’s Hot for Teens This Summer. 5 Ingredient Recipes. (10-11 a.m.) The Tenors perform live on Today. Favorite Things. TBD. (7-9 a.m.) Jimmy Fallon on his book, Your Baby’s First Word Will Be Dada. #startTODAY. Cindy Williams on her book, Shirley, I Jest! Martha Stewart on Today. (9-10 a.m.) Nikki Reed on Balls Out. Hope To It. Bill Phillips on his book, The Better Man Project. Tamron’s Tuesday Trend. TBD. (10-11 a.m.) Guys Tell All. 5 Ingredient Recipes. Idiotest’s Ben Gleib on Today. TBD. (7-9 a.m.) The Martian set visit. #startTODAY: Rossen Update. Steals & Deals. #LostAndHungry. (9-10 a.m.) David Spade on Joe Dirt 2. Pop Fix. Swimwear for the whole family. Invictus Games. (10-11 a.m.) Jennette McCurdy on Between. Personalized Father’s Day Gift. Katy Tiz performs live on Today. Lilliana’s Luxe for Less. (7-9 a.m.) Men’s Health Month. Wearing the Summer Trend: Jumpsuits. #startTODAY. 5 Ingredient Recipes with Carson Daly and Siri Pinter. (9-10 a.m.) Lauren Lapkus on Today. Father’s Day Gifts. Your Weekend Jumpstart. 3 Secrets to the Billionaire Personality. (10-11 a.m.) Jack Wagner on Today. Ambush Makeover. TBD. (7-9 a.m.) Fall Out Boy perform live on the plaza. Cooking with Camilla Alves. #startTODAY. TBD. (9-10 a.m.) Fall Out Boy on Today. Pop Fix. Appy Friday. In the Kitchen with Al Roker. Survive Your Summer Roadtrip. (10-11 a.m.) Camila Alves on Today. Bobbie’s Buzz. Kathie Lee and Hoda Give it Away. TBD.